• To fund and coordinate high quality research into the biology, ecology, genetics and physiology of all 6 sloth species. • To create an accessible database of scientific knowledge. Making all sloth research publications (past and present) available to the people who really need them – the people working in the field – and to break down the results into usable applications for the benefit of sloths. 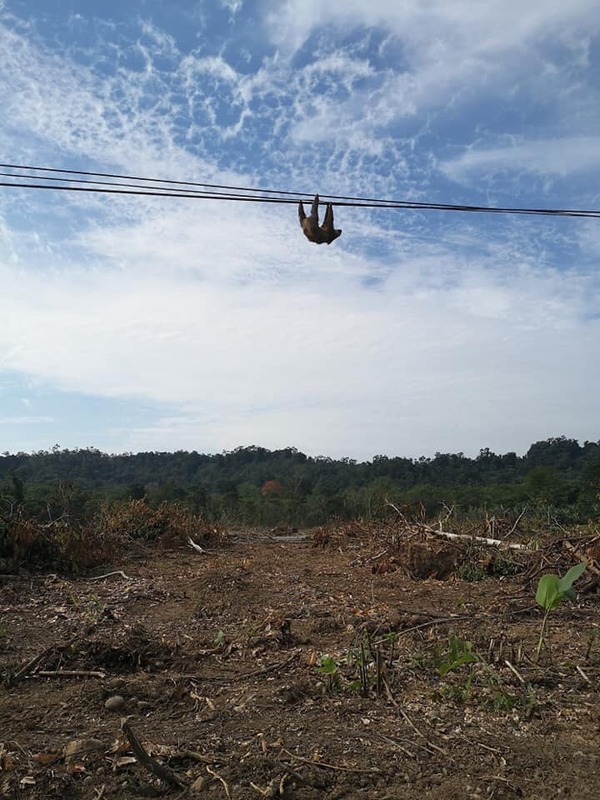 • To tackle the issues that sloths are facing in the wild by developing and implementing conservation strategies, working from the ground up through education of local communities to lobbying for change at a government level. • To create a united community of people all working together towards the research, conservation and protection of sloths, facilitating the sharing of information, advice, successes and failures. Sloths are perfectly adapted for life upside-down in the rainforest canopy. Unfortunately, with the rapidly expanding human population driving deforestation to an unprecedented level, the rainforest habitat that the sloths depend on is becoming more and more disturbed. Roads, farms, towns and cities now dominate the landscape, cutting the once continuous forest into smaller and more isolated segments. There is no way to escape the fact that 1-2 acres of rainforest land are cleared every single second. Due to their highly specialised lifestyle, sloths do not adapt well to such rapid environmental change. Every day hundreds of animals are falling victim to the land development and urbanization occurring throughout South and Central America. From power line electrocutions and dog attacks, to road collisions, deforestation and human cruelty – it is a long and sad list of threats. As a result, the Pygmy three-fingered sloths of Panama are now listed as critically endangered on the IUCN Red List while the Maned sloths of Brazil have been listed as vulnerable. 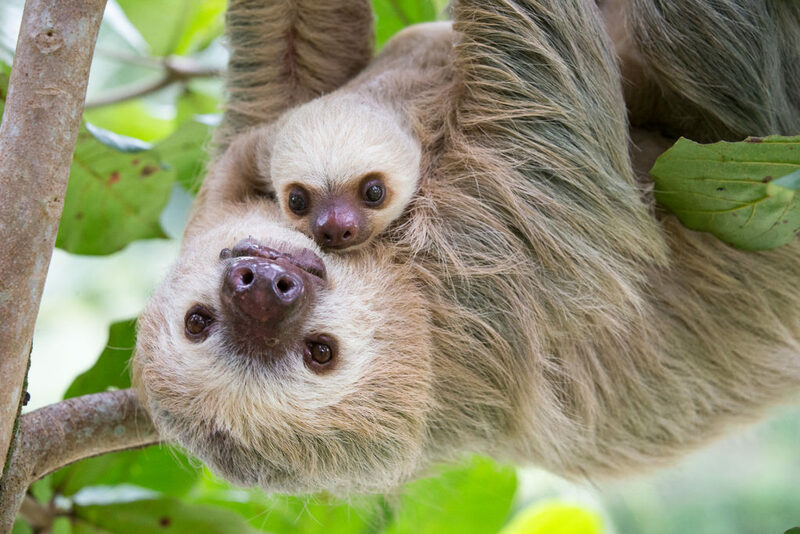 The Sloth Conservation Foundation (SloCo) is a non-profit organisation dedicated to saving sloths in the wild through research and conservation initiatives. Based on the belief that teamwork and collaboration are essential for success, it is the mission of SloCo to bring together all people, partners, and institutions working globally with sloths to achieve lasting and targeted conservation solutions. All of our conservation programs have a strong community-based approach as we believe that the best long-term solutions will provide sustainable and beneficial ways for sloths to coexist with the people sharing their habitat. • International education programs to reduce poaching for the sloth pet trade and tourist photo opportunities. In order to develop and implement such strategies, a solid scientific knowledge of the sloths ecological requirements is necessary. For this reason, SloCo also strives to fund and coordinate high quality research into many different aspects of sloth biology and ecology.